You need to buy some custom printed plastic bags…fast. Don’t worry about “rush charges”, we do not charge extra for “rush” orders. We MAY have to use UPS Air to keep your due date, though. We know the drill…it’s Wednesday and you need some custom printed plastic bags by Friday. Or maybe your boss gave you this (almost) impossible task. Don’t worry, just give us a call at 1 (701) 775-0797 and let us help you out of this bind. We make sure that your custom printed bag delivery is there when you need it and the quantity that you want. up to 24″ x 24″ x 5″. Our experience in designing and dedication to quality custom plastic bags, plastic bag printing, and trade show plastic bags shows in our brand oriented and modern design. Get it done right by giving your business the best custom printed bags so that customers remember your company or trade show event! 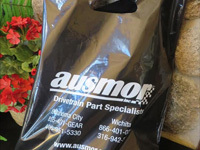 Learn more about how we can serve you or your company by calling 1 (701) 775-0797 or order your custom printed plastic bags today! Custom plastic bags colors available are white, black, yellow or clear. We can only print one color in ink. (Either one side or both sides can printed) The cost below is for each bag. The plate size is approx. 5″ x 5″ and the thickness is 2.4 mill. 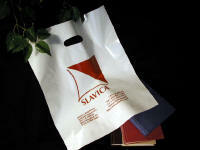 Custom plastic bags colors available are white, black, yellow or clear. We can only print one color in ink. (Either one side or both sides can printed) The cost below is for each bag. The plate size is approx. 7″ x 7″ and the thickness is 2.4 mill. 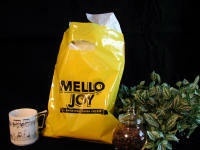 Custom plastic bags colors available are white, black, yellow or clear. We can only print one color in ink. (Either one side or both sides can printed) The cost below is for each bag. The plate size is approx. 7″ x 7″ and the thickness is 2.6 mill. 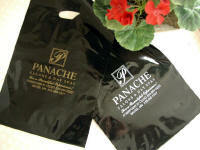 Custom plastic bags colors available are white, black, yellow or clear. We can only print one color in ink. (Either one side or both sides can printed) The cost below is for each bag. The plate size is approx. 8″ x 8″ and the thickness is 2.8 mill. Custom plastic bags colors available are white or black. We can only print one color in ink. (Either one side or both sides can printed) The cost below is for each bag. The plate size is approx. 8″ x 8″ and the thickness is 2.8 mill. For custom plastic bags in this size, the bag color is only available in white. We can only print one color in ink. (Either one side or both sides can printed) The cost below is for each bag. The plate size is approx. 8″ x 8″ and the thickness is 2.9 mill. Your boss left you very little time. Sometimes life throws us something awkward. You messed up…or perhaps your boss messed up. Either way…you need some custom printed plastic bags…FAST. You need plastic bags, with your logo on it…FAST. While other plastic bag companies say they will help you, does 3 weeks of ‘back and forth’ seem like you are really getting your plastic bags…FAST? You don’t need them at this point. 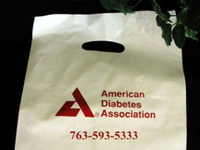 You need to call us and get your custom printed plastic bags on order right now. 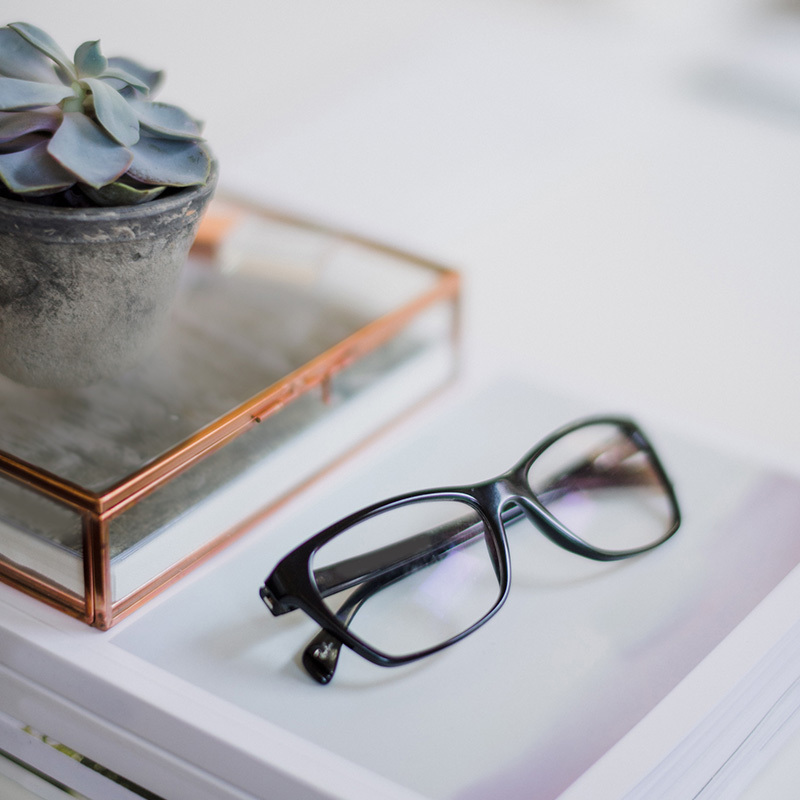 When you call us, you don’t need to worry any longer. 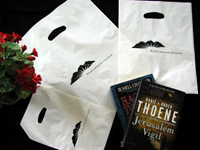 We will get you your custom printed plastic bags as fast as you can imagine. Some real people say nice things about us. Let’s GET some plastic bags on the way to you! Freedom Plastic Bags is a highly-adaptable company offering custom printed plastic bags and plastic bag printing services which can serve any business. If you are a company offering a consumer product, Freedom Plastic Bags can help; almost any size of custom printed plastic bag with your company logo printed upon them – and we offer them all at a minimum order of only 100 bags. Have you ever seen people carrying major retail or designer-brand bags on the street—quality bags with that brand’s name boldly standing out upon them? Then why can’t you do the same? Freedom Plastic Bags offers this marketing edge. For each customer buying from you, you send a walking billboard onto the streets. Brand-name bags continually remind customers why they came to you. 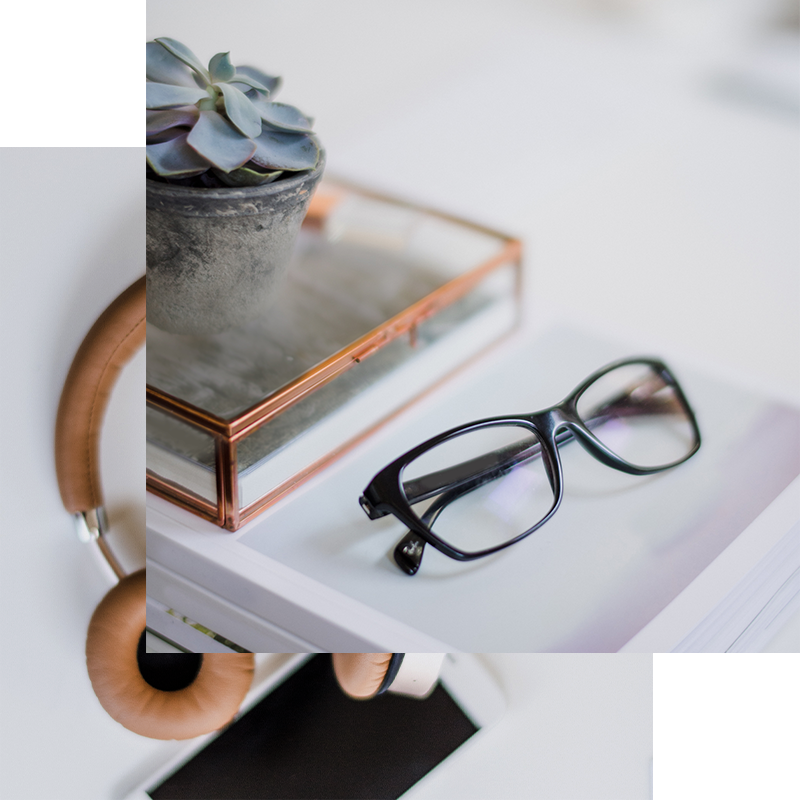 They add a special element to the buying experience, and make customers take your company as seriously as they retail brands they already visit. Business owners need a competitive edge, so you should use Freedom Plastic Bags to help promote your business! Copyright 2018 Freedom Plastic Bags - All right reserved.